Wrestling Isn't as Scary as it Seems! 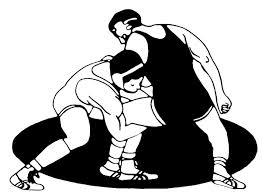 If your child is about to become a "wrestler", and this is your first real experience with this sport, you will want to know what is happening as you watch from the bleachers, what to expect as the match progresses, and how to react when your child comes off the mat. Hopefully, this page will provide you with an understanding of some wrestling basics, and allow you to help your child get the most out of this new and exciting sport. A lot of parents worry about their kids getting "beat up" by bigger, tougher, or more experienced kids. This is a common worry. Sooner or later, every wrestler gets beat and for most it is an uphill battle right from the start. If you are OK with this, and your child is OK with this, then you are off to a great start. Nobody likes losing but the wrestling mentality is to turn a loss into a new challenge. That does not mean that if a wrestler cries that they are not cut out for the sport. The point is that as a parent, you do not need to be concerned about how well your child will do. If they enjoy it, and want to continue despite losing, they will not only survive, but they will eventually succeed. Differences in natural ability diminish over time. It is the ability to see the loss as a challenge and forge on that really makes the wrestler. Below are some common public perceptions and the realities associated with them. Wrestling attracts the more simple-minded, physical athlete. Wrestlers are the epitome of the dumb jock. Accomplishment in wrestling is often accompanied by high academic achievement. Wrestling technique is extremely complex and mentally challenging. Match strategy is an important aspect of live competition. Wrestling is one of the crudest forms of a sport involving nothing more than a battle of strength and will. A wrestling match has the strategy of a game of chess with an unlimited number of constantly changing possibilities. Technique, balance, speed and confidence are all just as important as strength. Technique is as important and refined at top levels as it is in gymnastics or any other complex sport. Wrestling has little or no entertainment, societal or cultural value. When spectators know the competitors and understand the sport, wrestling can be very exciting. Wrestling does not favor any particular race, culture, size or stature and is popular in most other countries. Wrestling is also the oldest form of organized sports and it builds character that contributes to one’s ability to become a responsible member of society. Wrestling is dangerous. There is a high incidence of injury, cauliflower ear and ringworm. Wrestling is not risk-free, but this level of concern is typically fear of the unknown. Several studies have been conducted that show wrestling to be safer than many more common sports including football, ice hockey and gymnastics. Ringworm (a fungus similar to Athlete’s Foot) does happen, but can usually be prevented by keeping street shoes off wrestling mats and ensuring your wrestler showers after practice. Cauliflower ear can be prevented by the headgear they are required to wear in most competitions.